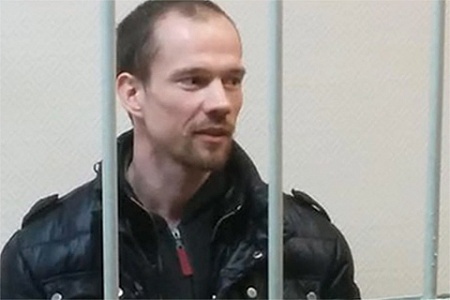 MEPs express serious concern about the welfare of Mr Ildar Dadin, an activist who is currently serving two and a half years in prison in Russia for taking part in a series of street protests. Parliament calls on the Russian authorities to immediately and unconditionally release Mr Dadin and “all those detailed on false or unsubstantiated charges or for using their right to freedom of expression and assembly”. Parliament also stresses the need for a thorough and transparent independent investigation after Mr Dadin’s recent allegations of torture inside the prison. MEPs are gravely concerned by credible human rights reports that indicate that Mr Dadin’s is not an isolated case, and that “point to the systematic use of torture, ill-treatment and inhumane treatment in the Russian penal system” with impunity. Russia is reminded by MEPs of the importance of its “full compliance” with its international legal obligations as per its membership of the Council of Europe and other such organisations. “Targeted sanctions” are necessary “to punish those responsible” for the mistreatment of Mr Dadin and the European Council must develop a unified policy towards Russia “that commits the 28 EU Member States and the EU institutions to a strong common message concerning the role of human rights in the EU-Russia relationship”, MEPs say.